Studying abroad gives students the opportunity to leave their campuses, explore the world, and immerse themselves in another culture for a summer, semester, or academic year. Students typically study abroad during their junior years, but there is no set rule for when students should go. Through studying abroad, students become self-sufficient, learn languages, and see the sights all while completing coursework and earning credits at their home institution. Studying abroad is a rite of passage for over 10% of students. During their time abroad, they get to take a break from the monotony of campus, become more independent and adaptable, and boost their résumés. Traveling abroad can be expensive, but financial aid can often be applied to the costs. Depending on the timing, students may miss events and courses offered only during a certain semester, but the payoff is often worth it. If you’re an avid traveler, enjoy meeting new people, don’t get homesick, and want to learn more about new cultures, study abroad might offer you a chance to get off campus and still fulfill requirements for your major. You must be willing and able to spend a significant amount of time planning your trip and working to make sure your credits transfer, especially if you’re attending a program that isn’t run by your host institution. 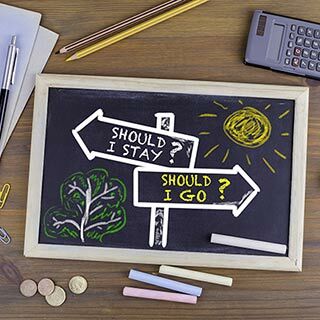 You should study abroad when you feel prepared to study abroad, but know that planning takes time. There are few study abroad programs offered to freshmen, but traveling while young may help you discover your passions. Programs for older students are easier to find, and which year you go depends on your ability to complete prerequisites, your major requirements, and what you plan on studying. The earlier you start planning, the easier your scheduling will be. You have any number of places to choose from when you decide that you want to participate in a study abroad program, but you shouldn't just pick a random location off of a map. Consider what language you want to speak, what type of environment you'll be happiest in, and the weather. Even more important, consider your safety, your wallet, and the relevance of your chosen program to your area of study. Foreign cultures may have unique views about Americans, race, religion, the LGBT+ community, women’s rights, and sexual relationships. Research the country to which you want to travel ahead of time. You may find that women’s rights are few and far between and decide that, as a woman, you wouldn’t feel safe studying there. You may find that other countries aren’t accepting of your sexual orientation. Pick a country to which you would feel safe traveling, and check with the U.S. Department of State to make sure it agrees. The perfect study abroad program is one that takes you to a location you want to visit, teaches you what you want to learn, lasts the right amount of time, and has credits that are easily accepted by your institution. Decide whether you want to learn with other American students or immerse yourself completely in another culture. Then, decide where you want to live. Would you rather stay in a dorm, in an apartment, or with a local host family? 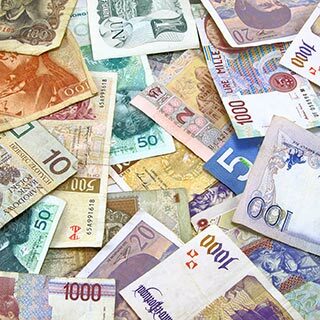 Your financial aid package may cover some of the costs of a study abroad program, but it can still be prohibitively expensive. Apply for extra scholarships before you leave and apply for a work visa so you can earn money while you’re gone. 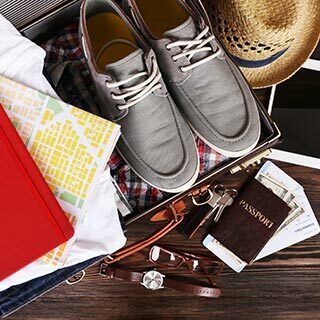 When it’s time to head out, make sure to book the cheapest flight you can find and pack light to avoid baggage charges. Once you’re there, you can cut costs by using a bank that will reimburse all ATM fees and get a student identification card (for the discounts). Once you've decided where you are going and what program to pursue, there are still more preparations to make before leaving for your host country. 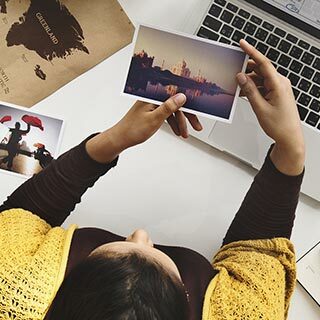 Arranging your housing, finances, and travel paperwork ahead of time can make your study abroad experience go much more smoothly, allowing you to focus on your education and enjoying your time abroad. Make sure to write a list of all the things you want to do while you’re away! Staying safe abroad is a lot like staying safe in an airport: know where your belongings are at all times, keep your passport in a safe place, and trust your gut. Beyond that, you’ll want to be practical. Travel in groups to make yourself less of a target, only visit the ATM during the day, don’t keep all of your money in one place, and don’t get into an unmarked vehicle. Common sense is generally the first step to staying safe abroad.